25 July 2018 – The simplest money management strategy to follow, is to spend less and save more. 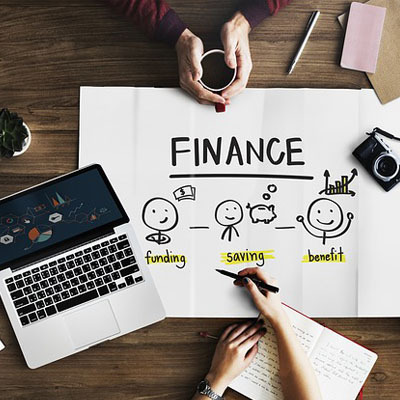 This strategy will go a long way in helping you achieve your financial goals and dreams and give you direction in terms of how your money should be managed. Building a savings strategy should not be tedious, but rather an easy and empowering process. “Savings should be a priority for everyone who wishes to be financially independent and should be actively managed on an ongoing basis. Consumer needs and wants differ, some may save for a holiday, while others may opt to put their money in a savings account until they have defined their savings goals. Whatever the choice, we encourage consumers to start saving regularly,” says Himal Parbhoo, CEO FNB Retail Cash Investments. Time is of the essence: Wealth creation happens over time. The longer and the more you save, the greater the growth and returns earned. Compound interests, which describes earning interest on interest, significantly boosts the rate of growth of money saved over time. So, saving consistently over a long period of time will generally yield better results than saving more money over a short amount of time. Pay yourself first: If you are serious about accumulating wealth and healthy savings – you will adopt the principle of paying yourself first. Put away a healthy percentage, for example 10% or 20% of your salary in a savings or investment account, on payday and then spend the rest according to your budget, rather than to save what is left at the end of the month. Your savings will grow and help you reach your financial goals sooner. Consider a range of savings and investment options: Look at savings and investments that suit your lifestyle. Consumers also have the option of investing in Tax-Free Savings Accounts, which enable you to enjoy the full benefits of your savings and investments. With Tax-Free Savings Accounts customers can top up on their existing Tax-Free Savings Account portfolio for maximum gains, within the annual and lifetime contribution limit. Reinvest your extra cash: Money that was allocated to pay-up loans, can be reinvested in savings, once the loans are settled. This is a great way to ensure that you do not pick up or spend your available funds on unnecessary things. Ongoing information gathering to build a better understanding of the financial landscape is important in managing your savings. “The more you know, the better financial decisions you will make. Strive to access financial information every day to help you grow your knowledge and develop an innate propensity for saving and growing your money,” concludes Parbhoo. FNB offers a range of savings and cash investments where you will not only benefit from attractive interest rates, but your capital and quoted returns are fully guaranteed, meaning there is no risk of losing your hard-earned money.